Jim Kweskin at Folk Alliance 2013 a video by Brian Blain on Flickr. Here's a folk icon in action. Jim Kweskin singing "Blues in a Bottle"
This is my favourite part of the Campfire, when I just start making up verses and try to get my Campfire pals to join in. Freestyle, as the young 'uns call it. As you see in this clip, I'm fumbling to rhyme a verse but Kim Doolittle jumps right in and creates a couple of verses from the woman's point of view. That's Michael Jerome Browne in the middle - what a fabulous musician! This was shot last week-end at the Winterfolk Festival (thanks to Brian Gladstone for inviting me to bring my Campfire to his cozy little February function). The festival closed off with a beautiful tribute to Brent Titcomb with performances by many of his musical buddies including "moi." 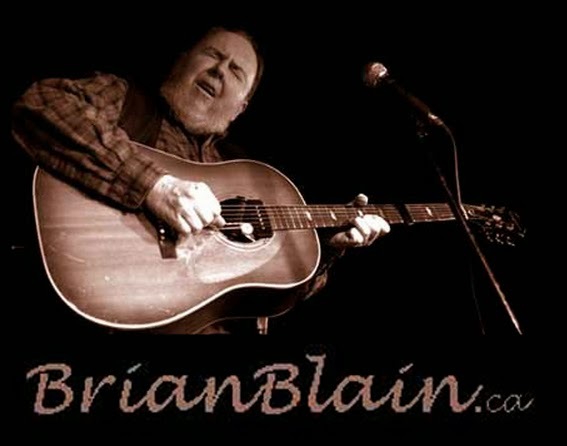 Other highlights at Winterfolk this year were hearing Rick Taylor and a gathering of the Whiteley clan (there are clips from both of these on my streaming channel - click above on "Watch The Blaincast" and stay tuned because I will be streaming more from the Folk Alliance Conference. The Street OMG I Can Still Hear That Song!!! !